You know what one of my favorite things about working remotely is? Getting to work from ANYWHERE? Although most days I do work from my home office, sometimes I like to spice things up a little. On Tuesdays I love working from the Museum of Contemporary Art, Chicago (since admission is free for Illinois residents on Tuesdays). It’s so much fun typing away while being surrounded by amazing artwork. Another great thing about my job, and being able to work from anywhere, is the fact that I can still work while I’m traveling. This is what allows me to travel so much (and take all those bi-monthly Disney trips!). In fact, next week I’ll be working from New York City (since I’m heading there on Thursday to celebrate my 26th birthday, which is the following Tuesday April 17th, with friends). Yup, all I need is good Wi-Fi (thank goodness I have my own portable WiFi router, that things is a life saver) and my trusty computer and the world is my office! 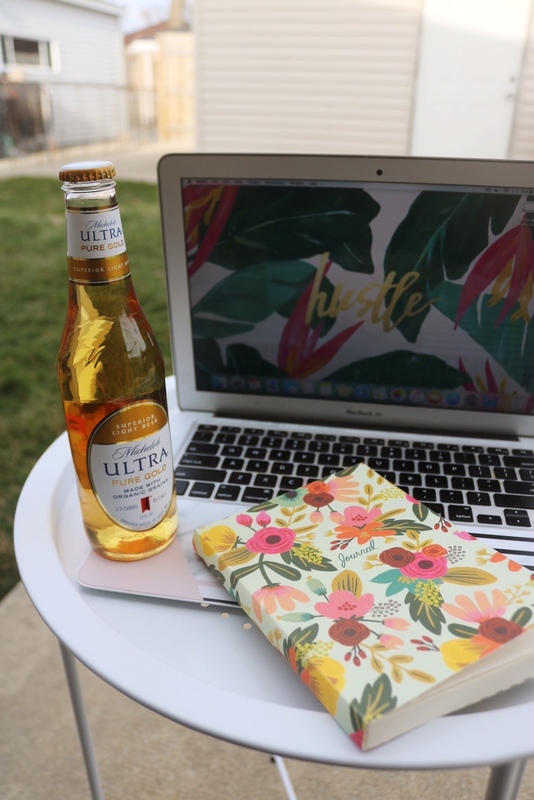 A few days ago I decided to enjoy the semi-decent spring weather by grabbing my laptop, a cold Michelob ULTRA Pure Gold and making my backyard my “office” for the day! Although I absolutely LOVE being a blogger, freelance writer and social media manager, I can’t lie and say it doesn’t get stressful. Having to constantly come up with new content can definitely get tricky. Not to mention that all of the writing can become tiresome (and I’m also working on a screenplay at the moment!). I don’t know about you but getting some fresh air always seems to calm me down. There’s just something about being outdoors, hair blowing in the wind, birds chirping, that really gets my creative juices going! You know what else helps me relax? A nice cold beer! Michelob ULTRA’s new sustainably sourced beer, Pure Gold, was born with a commitment to innovate using ingredients and inspiration from nature. Made with organic grains and with sustainable packaging in partnership with the Sustainable Forestry Initiative, its inspired by nature and best enjoyed in nature. Michelob ULTRA Pure Gold is a light lager with a superior, golden taste. With only 2.5 carbs and 85 calories, Pure Gold is triple filtered and brewed free of artificial colors and flavors. 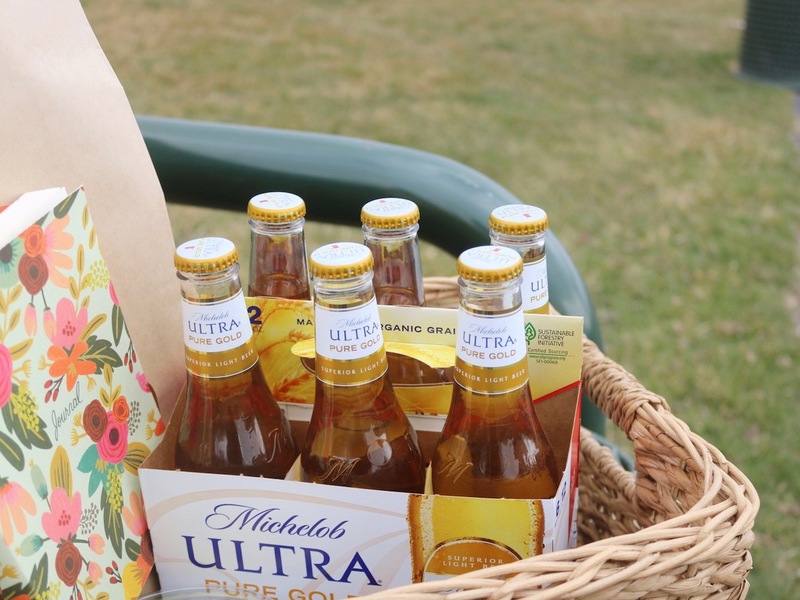 Michelob ULTRA Pure Gold is also the perfect addition to any impromptu picnic. (Reason #78 to love spring: picnic lunches!). 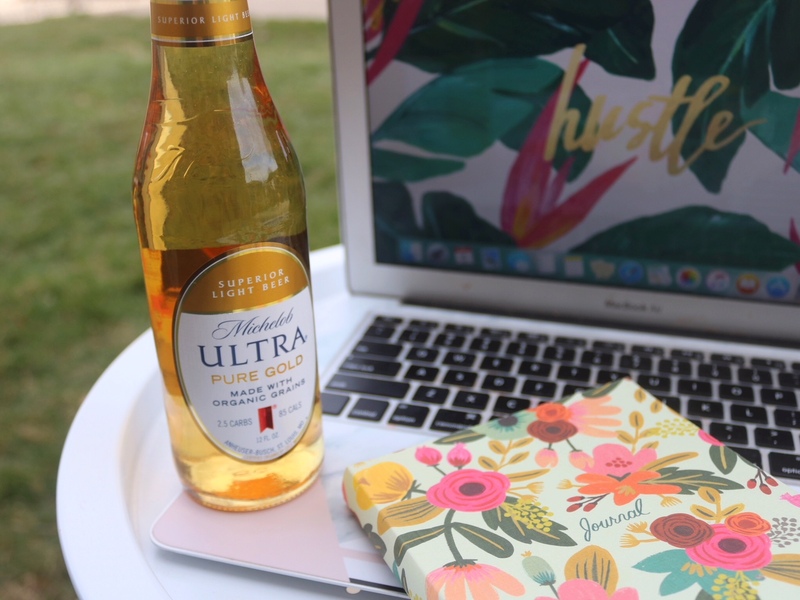 Nothing beats enjoying a delicious Michelob ULTRA Pure Gold in the great outdoors! Something that I really love about Michelob ULTRA is their belief that your health and happiness should not be at odds with one another. They don’t believe in dieting. They believe in thriving on a steady diet of friends, fitness, and occasionally laughing a little too hard! I love that I’m able to enjoy a Michelob ULTRA Pure Gold without feeling guilty (since it’s only 85 calories!). I can maintain my active lifestyle and still indulge a little too. 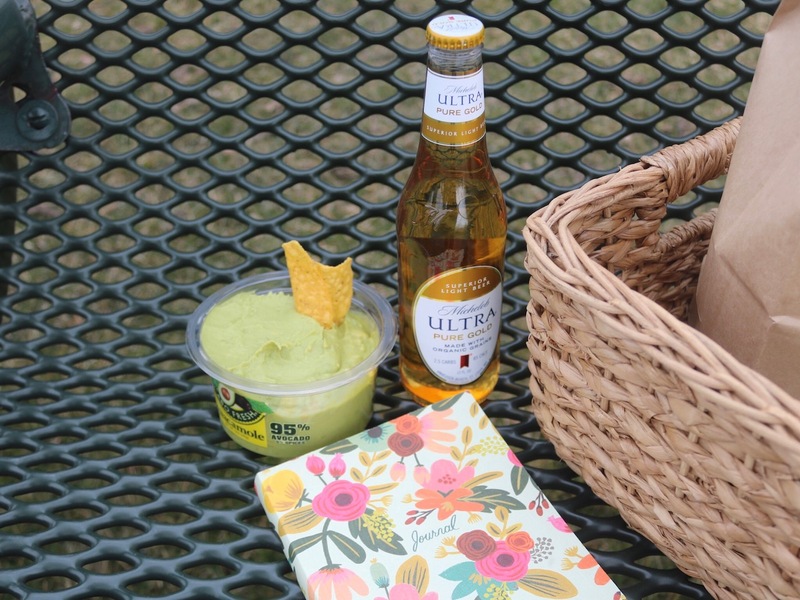 It doesn’t get any better than guacamole and Michelob ULTRA Pure Gold! Talk about the perfect way to end a picnic, hike, jog or any outdoor activity really! 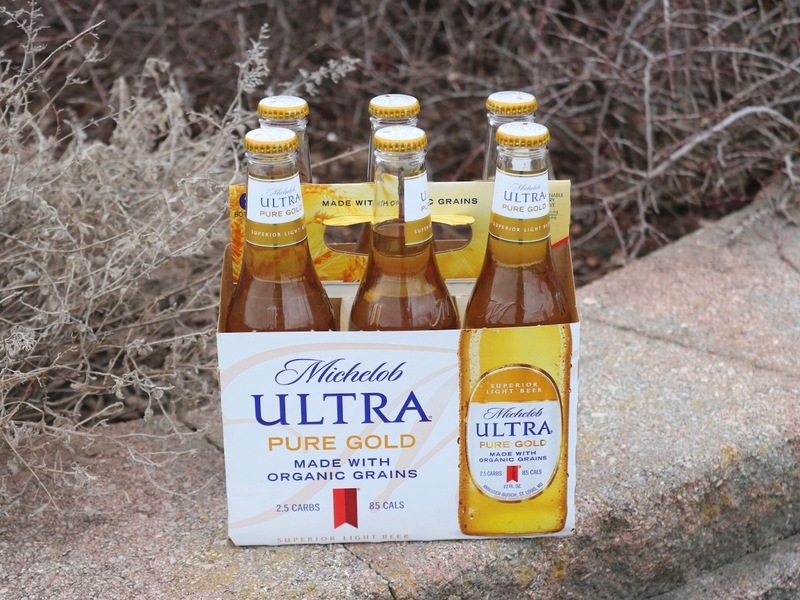 Have you tried Michelob ULTRA Pure Gold yet?